Sixteen years after the Second Wizarding War, the magical community is one of peace. With blood and creature prejudices set aside, Hogwarts and other schools have flourished. A private university, Merlin’s Academy for Excellence has also seen an increase in attendees. In need of professors, and always looking for worthy students, the Academy is a wonderful place for those interested in studying to be an Auror, Potioneer, Dragon Trainer, or Healer. Along with a new university to explore, the Avalon Village has welcome areas for commerce and interactions, as well as the always popular Diagon Alley and Knockturn Alley. 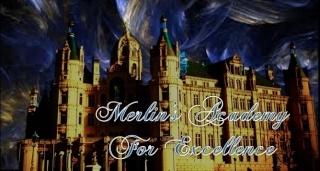 If you are seeking a more unique experience, based in the world that J.K. Rowling has set up, and which we have added to, please join us on this new adventure at Merlin's Academy for Excellence, and see what it has in store for you!